I felt like it had been ages since I posted about what we’ve been up to, so much seems to have happened but actually it’s only been 3 days! Funny how that happens. 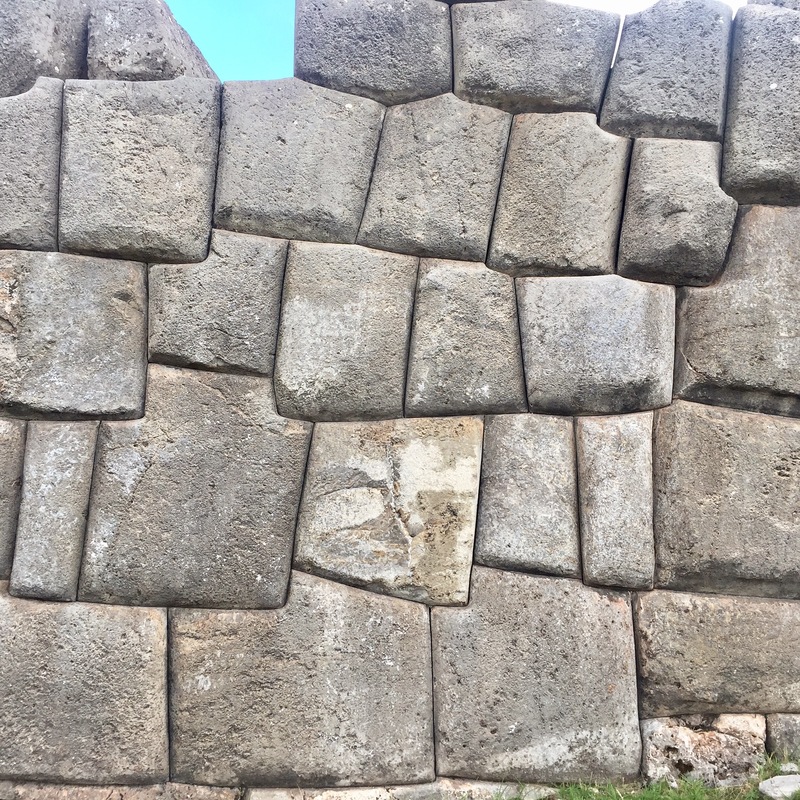 As you can imagine Machu Picchu was quite a high point for us, so the following couple of days we spent our time taking life a little slower. 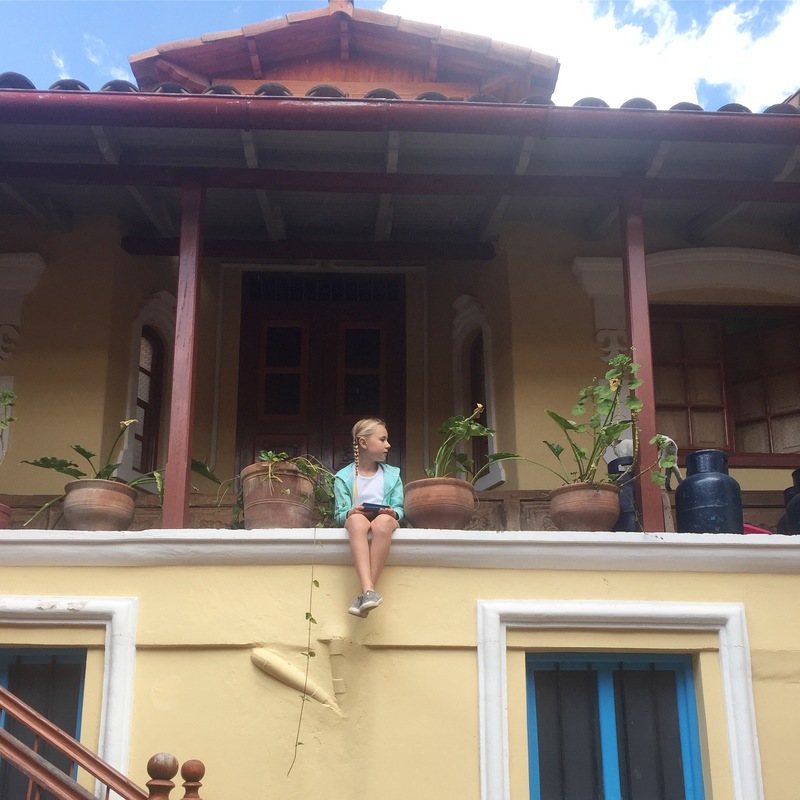 We woke up late, caught up on some home schooling, cooked, browsed the markets and just sort of lived life in the city of Cusco. 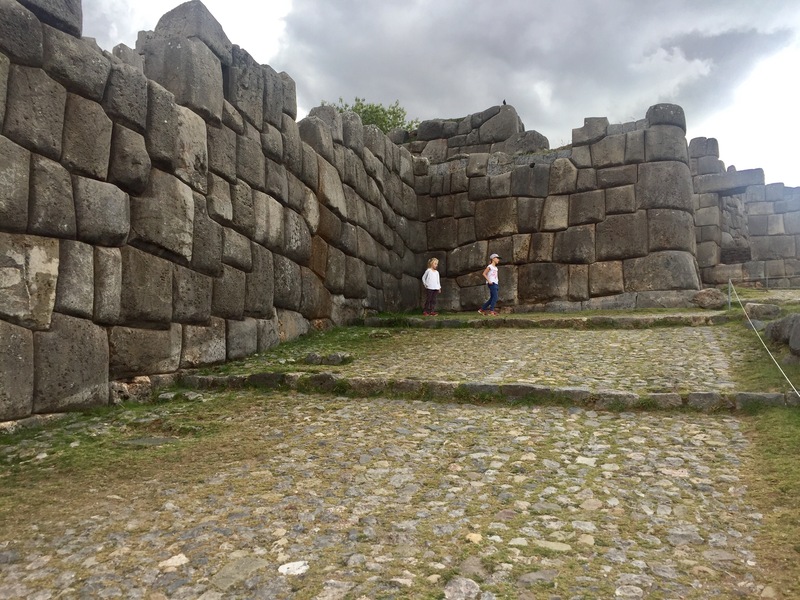 Saturday afternoon we took a trip to sacsayhuaman, a local inca ruin! Again totally awed by the sheer scale of the place! The interlocking rocks carved by hand, Den and I sat on the large grassy area nearby for a long time looking at it, just wondered how on earth did they do that!!! 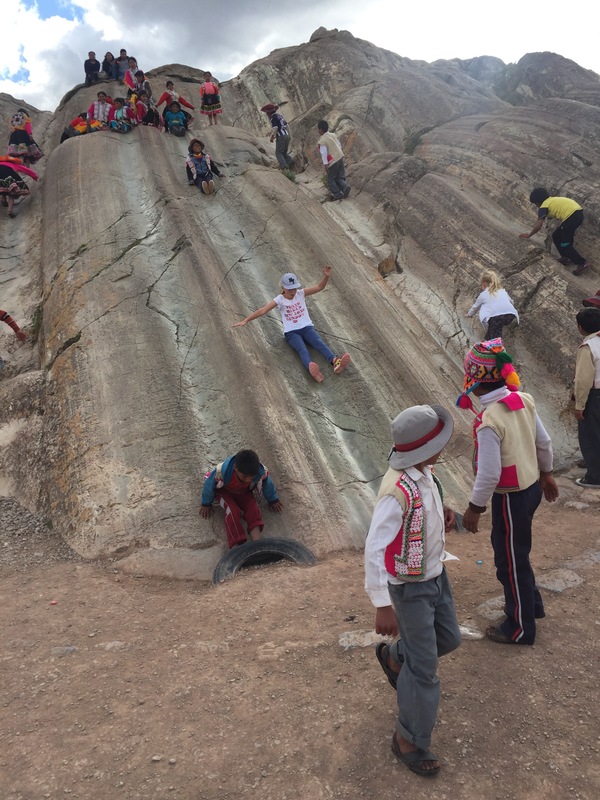 The girls enjoyed some natural slides in the rock with the local kids, and we reflected on how it’s important to find a balance between fun and culture for them, sometimes they just need to let loose and have some crazy time! 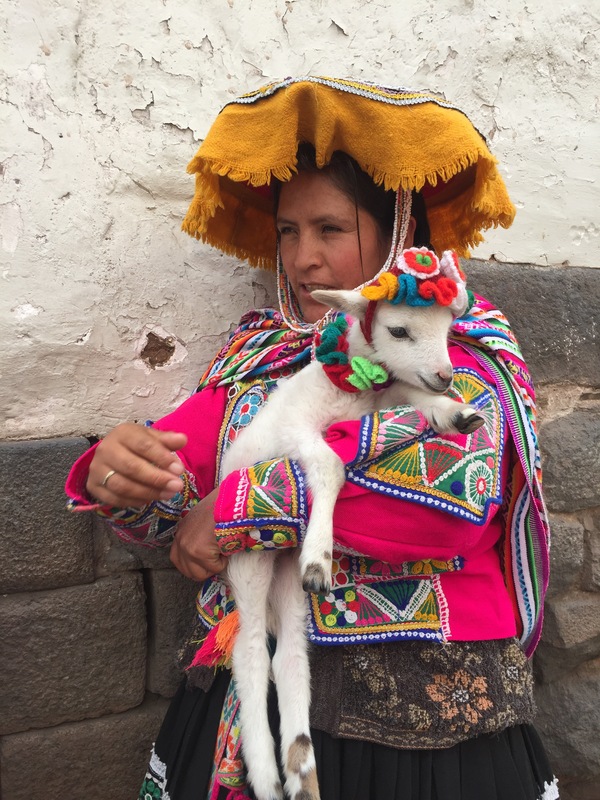 Sunday…we finally gave in and paid the beautiful ladies on the corner of our little cobbled street for a photo with their baby llama! I think that’s a picture the girls are going to treasure for quite a while! Just so cute with its little Pom poms! 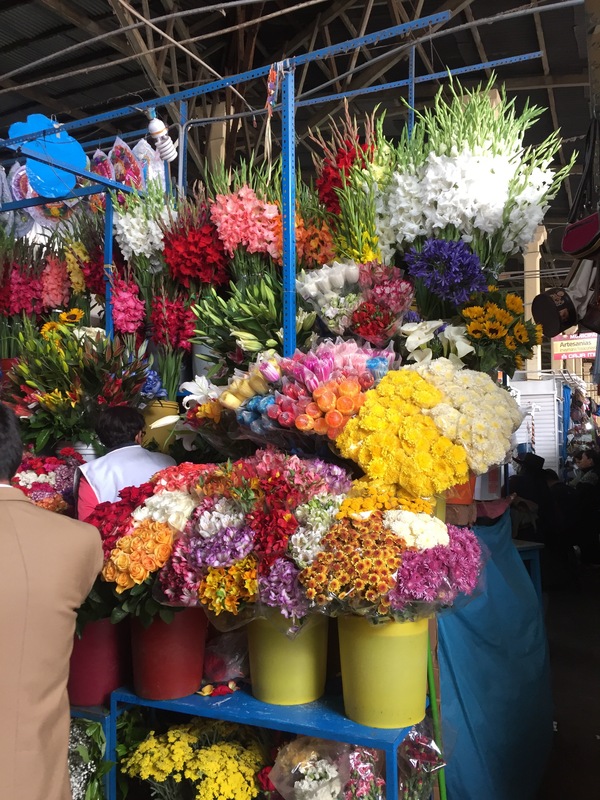 Monday it was time to leave, Peru you have been wonderful, you have ticked the exciting dusty jungle adventure box on our round the world trip. 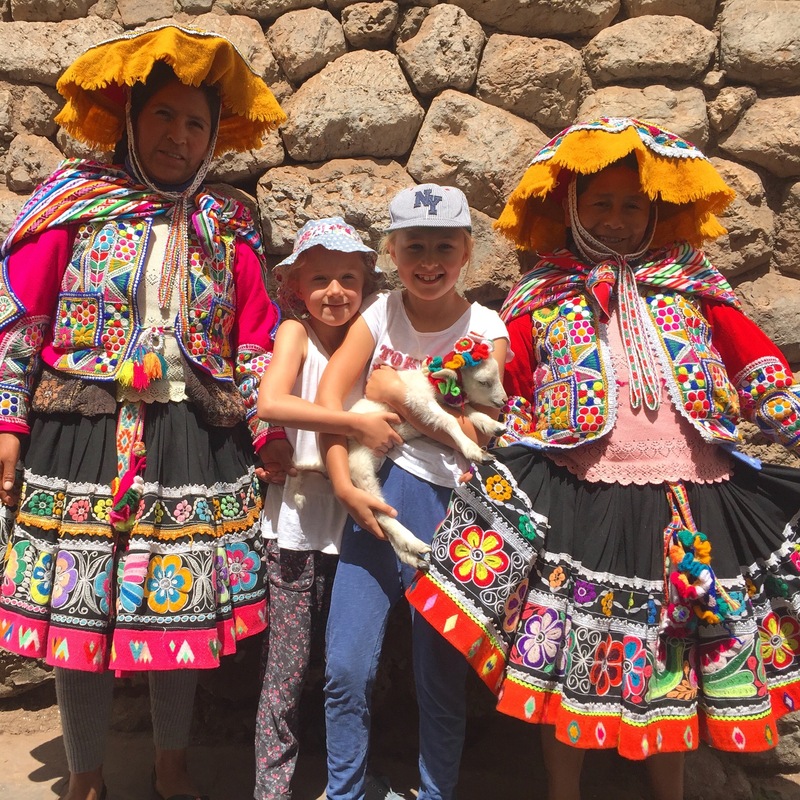 We have all learnt so much about your inca culture and history….and we’ve loved it! And we are very grateful you shared the humble potato with the world! 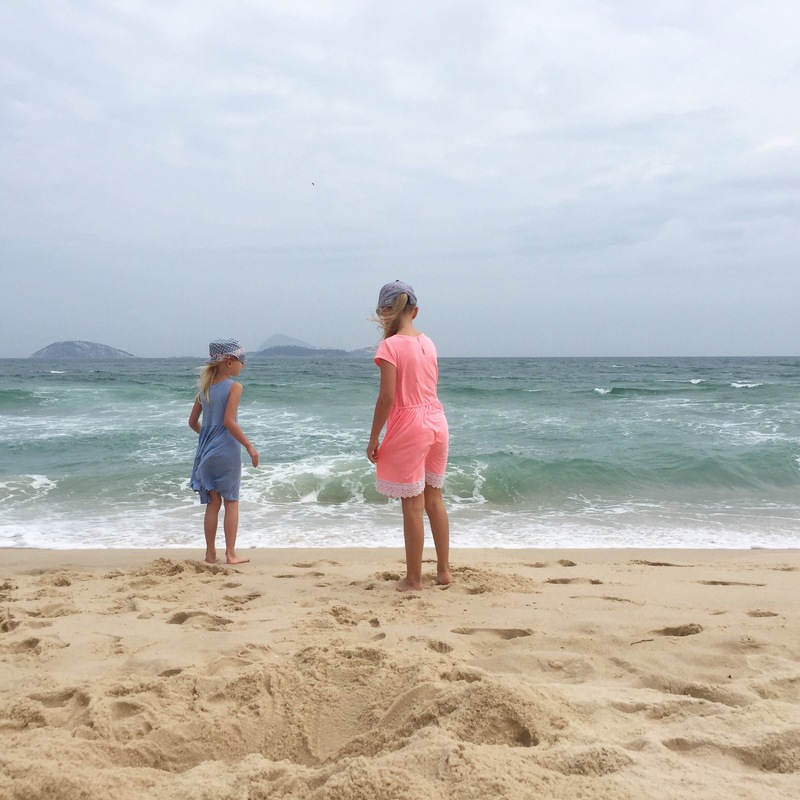 So yesterday we packed our bags and set off to the airport…destination Brazil! Well what a crazy 24 hours it’s been!!! First we arrived at the airport to find good old Avianca had cancelled our flight again 😩 But thankfully we were so early we managed to check into a flight that was just about to leave! Queue home alone moment, all of us running through the airport, passports and boarding pass in one hand child in the other! Run kids run!!! Nuts, well we made it and that flight was the start of a very turbulent night ahead! 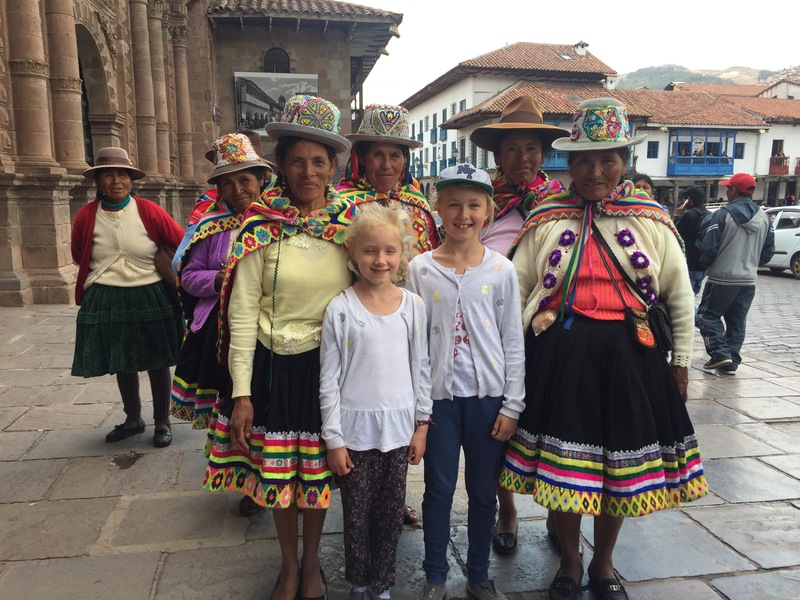 As the plane flew over the Andes it kept juddering, dropping and leaving our stomachs high above in the clouds…the next flight from Lima to Rio was even worse! Seriously I have never sat and prayed so much that we don’t crash! (All with a cheery ‘don’t worry kids it’s all fine’ face on!! !😳) The seatbelt signs were on for the whole flight as we rocked and dropped around in the air, you couldn’t even have a drink as everything was spilling all over the place…then queue the lightning outside the plane! All in the middle of the dark night…well it was a long 5 hours I can tell you that! 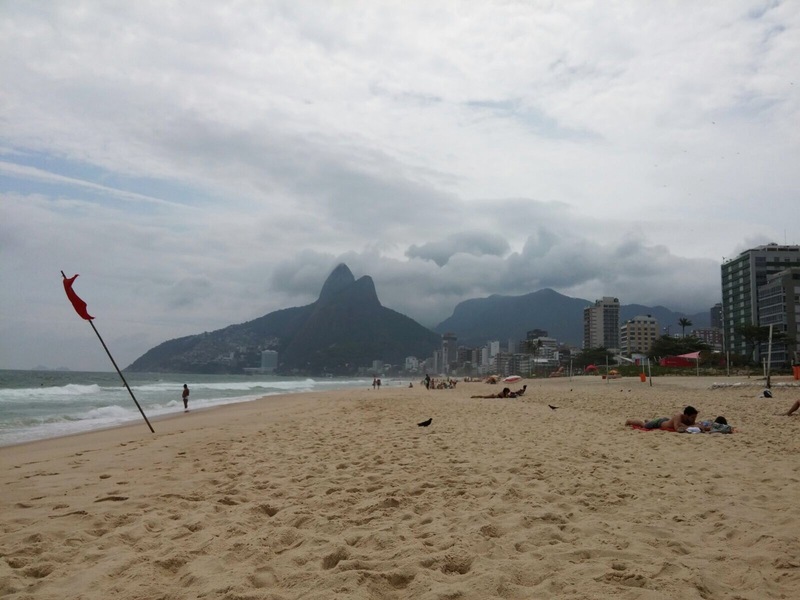 So when we finally touched down in Rio, I took a deep breath and silently thanked god for keeping us safe! 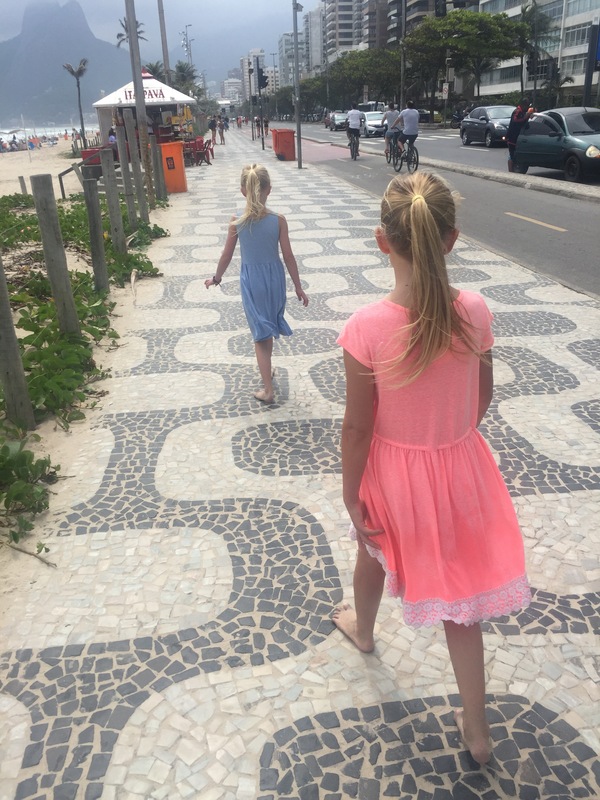 It was very early in the morning so we dashed through customs, baggage and found a taxi to take us and our two very tired children to our new Airbnb in the ipanema area of Rio. So it wasn’t until we turned the news on that we heard of the plane crash in Colombia of the flight from Brazil! I must say that sent a chill down my spine, and boy was I feeling thankful that our pilot and plane got us there safely! So after such a crazy night with hardly any sleep we fell into our beds and slept till midday. Our apartment is perfectly located just a couple of blocks back from the beach, so when we were all awake we decided to head straight for it! 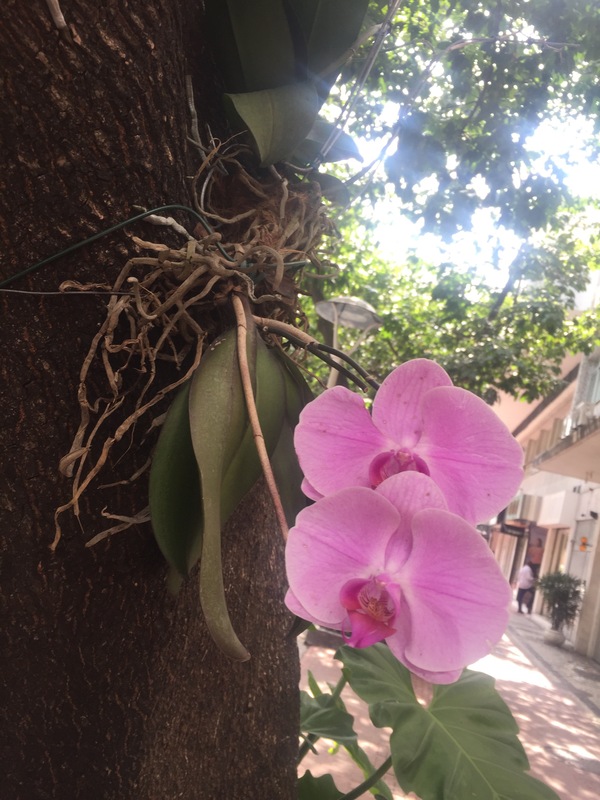 Wow Rio you really are a beautiful city, just a quick walk and there are tropical orchids growing along the streets, the mosaic sidewalks and well…. 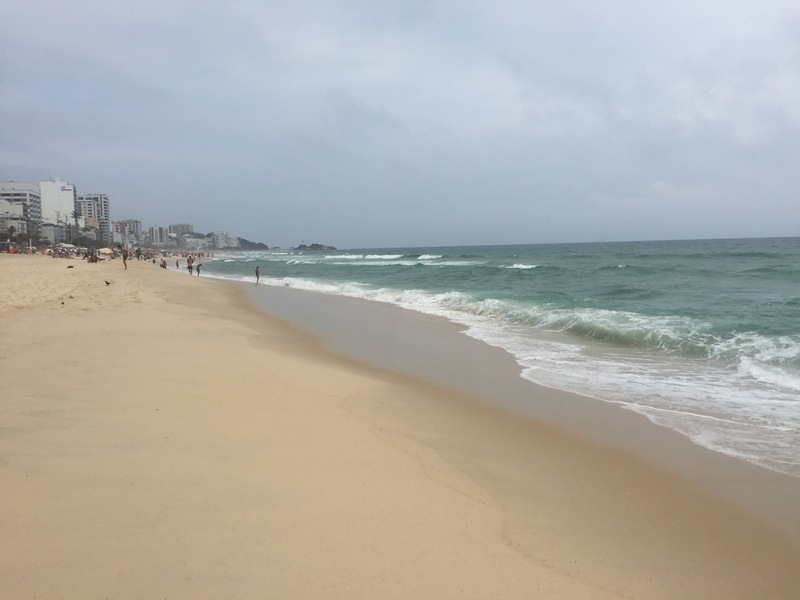 wow what a beach! 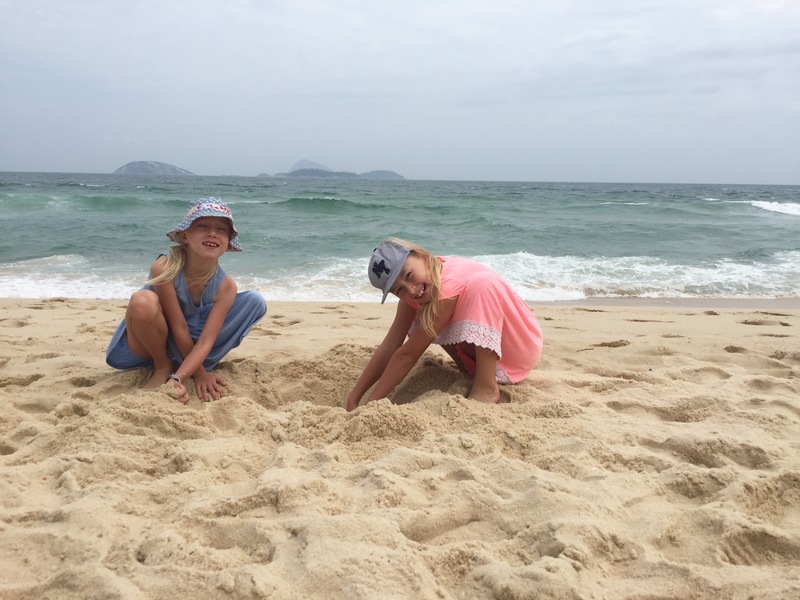 The girls thought the sand was so perfect it must be fake! This evening we have enjoyed catching up with family on FaceTime as only 2 hours behind now, so much more sociable. The girls have done their fact sheets for Brazil and we have been drawing Christmas pictures to get us in the festive spirit! 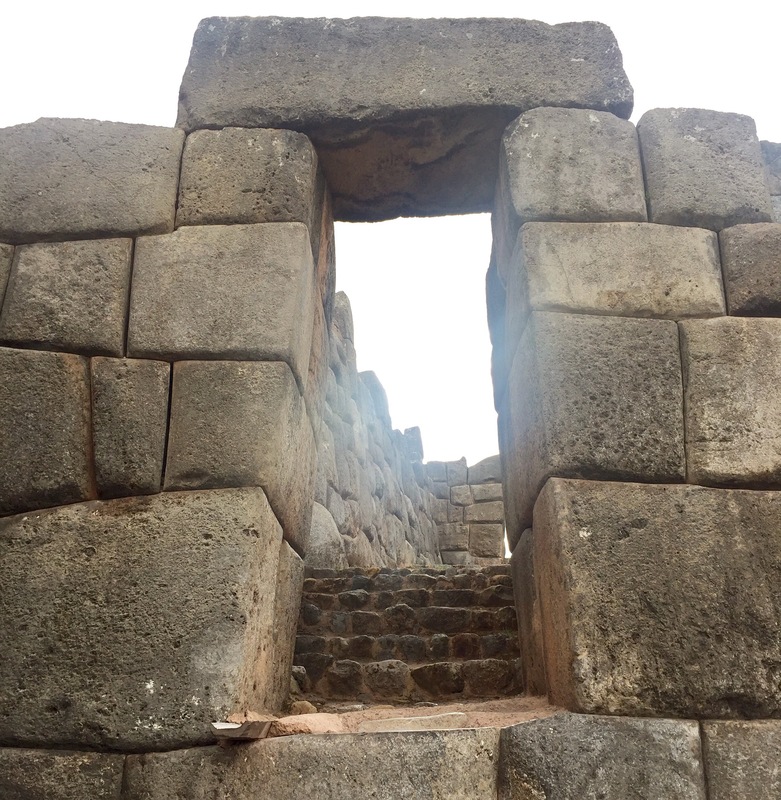 Deepest, darkest Peru, Machu Picchu!